Well equipped furnished home with wonderful views of estuary and hills from living room and balcony. Located within 50 steps to the sand with Blue Water views from patio off master bedroom. Just a short walk to dining and pier plaza. 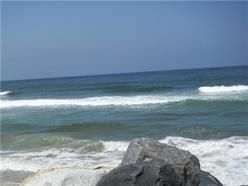 World famous Big Wave surf break just to the south. View from patio to the bullring in Tijuana. Bird lovers estuary right across the street which welcomes dozens of migrating species each year. Let the rhythm of the waves rock you to sleep every day at Paradise Found!